With piercing eyes and rich fall colors, our fly by night friend is oh so dramatic. 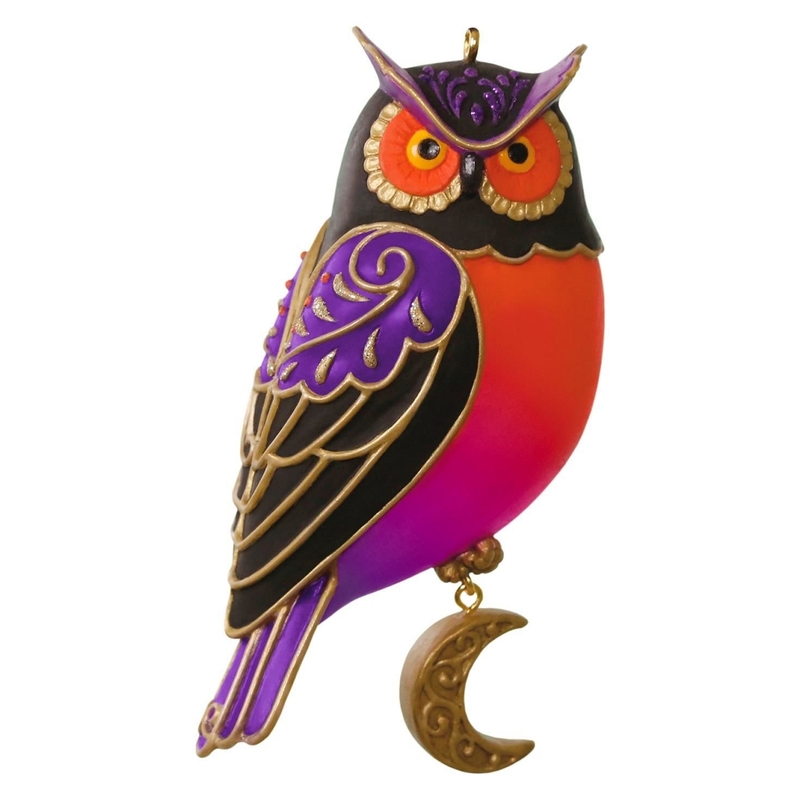 Size: 2.1" x 4.1" x 1.66"
Beautiful colors, such attention to detail and what an absolute gorgeous ornament. The color of this owl is fabulous. I wouldn't have considered purchasing the Halloween birds for my Christmas tree, I'm so glad that I did they're works of art each one. Love this, not something I would normally order, but very pretty. 2017 Halloween - Ravishing Raven - Picture doesn't do justice!